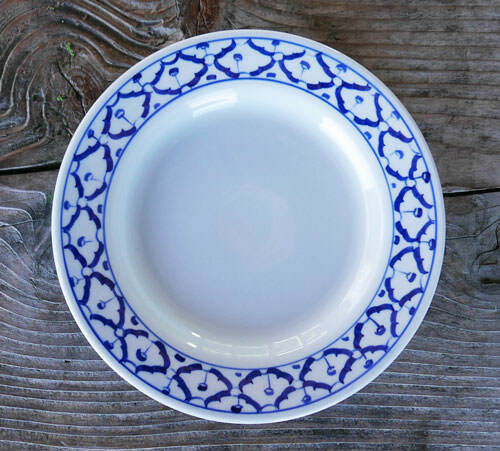 Handpainted ceramic dinner plate imported from Thailand. Each piece is painted by hand using a traditional design unique to Thai artisans. You will appreciate the weight of this thick, ultra-high quality plate. 8.5" in diameter, it's a bit smaller than the plate typically found in American kitchens, but still a great size especially if you're serving smaller portions.